For centuries, a common belief has been the Cartesian claim that nonhuman animal species were incapable of suffering pain. Thankfully, that fallacy is now rejected nearly universally in regard to mammalian and avian species. Tragically, the ignorance largely continues in regard to fish. While many people intuitively and/or intellectually realize that fish can suffer pain, society at large still views and treats fish as insentient beings. 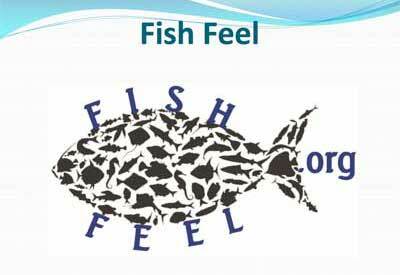 However, the scientific evidence is in: fish feel fear, pain and distress, and they suffer immensely from it. Suggestions that finfish responses to pain merely represent simple reflexes have been refuted by studies demonstrating forebrain and midbrain electrical activity in response to stimulation and differing with type of nociceptor stimulation. Learning and memory consolidation in trials where finfish are taught to avoid noxious stimuli have moved the issue of finfish cognition and sentience forward to the point where the preponderance of accumulated evidence supports the position that finfish should be accorded the same considerations as terrestrial vertebrates in regard to relief from pain. “I wouldn’t deliberately eat a grouper any more than I’d eat a cocker spaniel. They’re so good-natured, so curious. You know, fish are sensitive, they have personalities, they hurt when they’re wounded.” – Dr. Sylvia Earle, then chief scientist of the U.S. National Oceanic and Atmospheric Administration; Champion of the Deep, The New York Times Magazine, Peggy Orenstein, June 23, 1991.